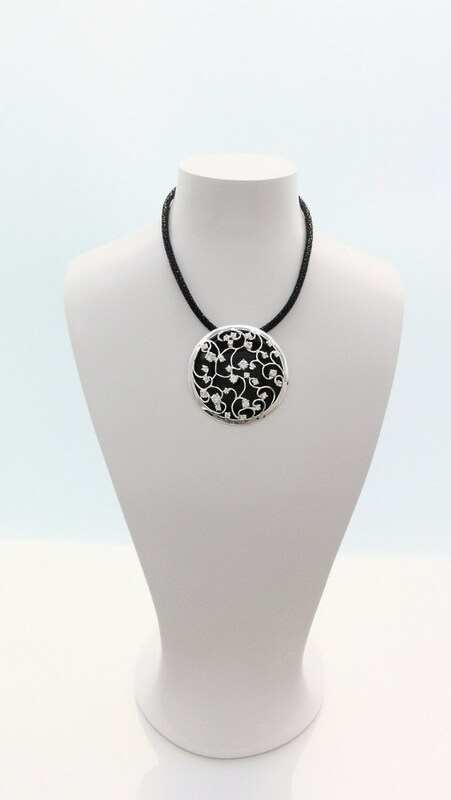 Choker with Genuine Onyx set with Zirconias on a Majestic Sterling Silver Pendant. 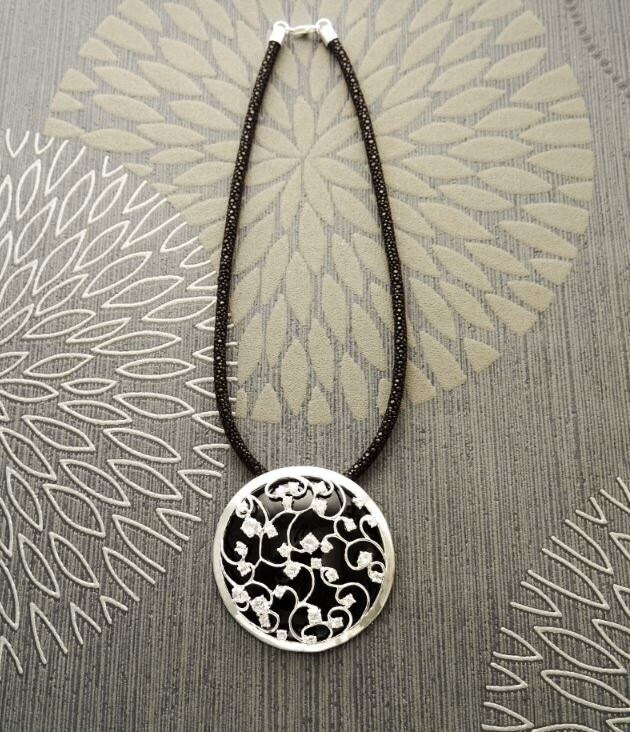 Designer Necklace, looks great with an Evening Gown . 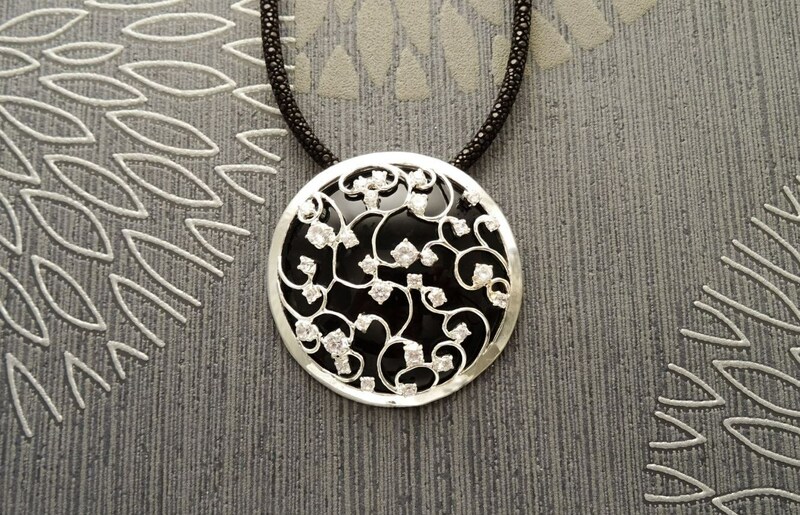 This Necklace features a Majestic pendant, made in Sterling Silver and set with a big, shiny Onyx Cabochon under an intricate Sterling Silver Filigree set by 30 High Grade Cubic Zirconias. Simply stunning! 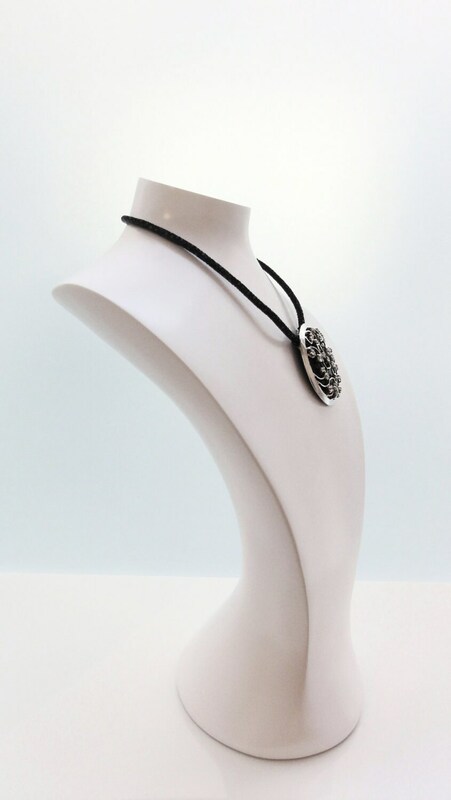 This Handmade Necklace is composed of semi-rigid Stingray Black Leather , a noble material which is used in the universe of luxury, recognized for its unique beauty and high durability. 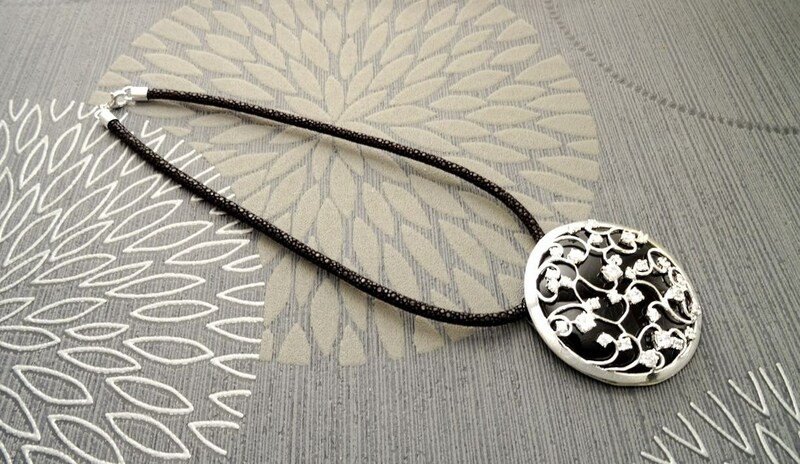 Length of the Necklace : 40 cm (15 3/4 inch) / Width of the pendant : 5.8 cm. It's absolutely stunning!Thanks for the quick delivery.